The Powerloo is such a great product that people cant help but talk about it. Check out some of the buz! It's revolutionary. It's not cheap. And it's destined to prompt a certain amount of late-night talk-show guffawing. But some early converts are raving about it. It's the PowerLoo, a recently released invention aimed at a segment of the dog-obsessed among us. A little like an in-ground toilet bowl (though, really, it's quite attractive and comes in several colors) that you bury in a secluded part of your yard, it addresses some of the worst aspects of dealing with dog doo. 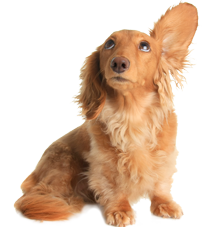 Dogs don't stroll on up and use it on their own (sorry to say), but when the human lifts the lid of this thing, deposits the pup poop and steps on the flushing device, everything flows away just as it does in your home (since the PowerLoo is connected to your sewer line). It runs about $1,000 (you can get a freeze-proof one for about $400 more if you live in the cold regions), and, its inventor says, you'll never again have to anguish over your contribution to the tons of doggie dung being hauled off to landfills or contend with many of the other disagreeable aspects of dog waste. It's easy to see why a boarding facility or a veterinarian's office would find this product pretty irresistible. Untold pounds of waste every day. Scooping and bagging it before dumping it into the garbage container, where it simmers in the hot sun, stinking up the area, attracting flies and all, for however long it takes until haul-away day arrives. "I could not be in this business without it," Diane Shoffner says. She opened an upscale boarding, grooming and dog day care facility called Sam Russell's Pet Provisions in Elizabethtown, Ky., in February. One of the biggest worries she had during the planning phase was "what am I going to do with all that poop?" Thirty to 50 dogs at any given time. And, well, you see the problem. Kennel workers just "scoop everything up and flush it away," a time-saving process compared with the old way. Moreover, it's a conversation-starter that's great for business, she says. When would-be clients come to scope out the facility, "the last stop is the PowerLoo. They're fascinated." The gadget has turned out to be so much better than she has expected, and, in fact, she's an authorized seller now. But could a regular pet owner with a less voluminous waste situation find happiness with such a product? Some apparently can. Karie Ross and her husband, Detroit Tigers CEO Dave Dombrowski, have "three little crazy weenie dogs," says Ross. And three acres. So there's no risk they'd be ankle deep in dog mess if they weren't totally vigilant about pickup patrol. And yet, she's crazy about the PowerLoo. "It's like a new toy we show all our friends," she says with a laugh. But seriously. "It keeps you from having to deal with the unpleasantness." It's true one still has to scoop the poop, but that's practically nothing compared with the bag transfer and the odoriferous storage can, she says. "It's really something that should have been invented years ago." Well, now it has been. The inventor, Curt Fournier, says the made-and-based-in-Michigan product he spent years researching and perfecting is tracking to sell more than 500 this year with almost nothing in the way of marketing and advertising. The No. 1 question people ask, he acknowledges, is: Can't the human cut himself or herself out as the middle man, and get the dog to pop up the lid, use the thing and flush it? "There may be some people who can train their dog to do that," he says. And some purchasers have claimed that was their aim. But so far, no one has called to report success. "Your Pet Wants This Too!"